Learn more about our programs, all dedicated to building better lives—from the feet up. Our annual tennis tournament raises money for shoes. SOLEdiers provides new shoes to veterans in need. The Gotta Have Sole Scholarship Program provides extraordinary teens and young adults in need with the funds to take a step forward. Gotta Have Sole Clubs are youth groups that change lives. Clubs Program Gotta Have Sole® Clubs are youth-led and youth-run groups that operate within their own community with our guidance. 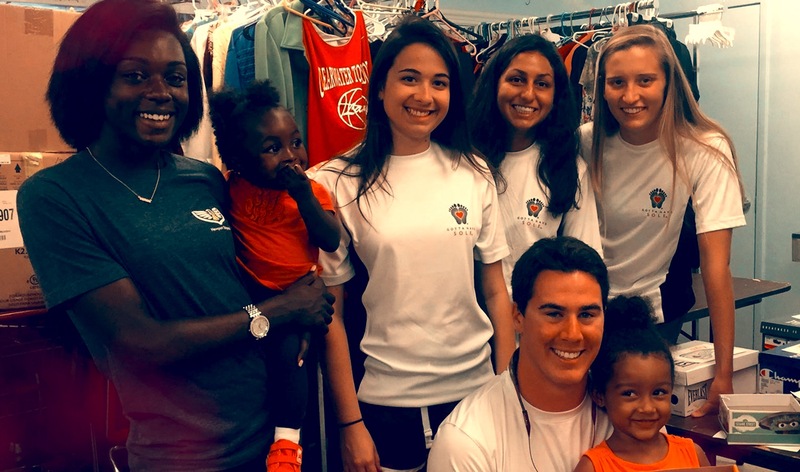 Clubs host shoe drives and deliver shoes to local homeless shelters all across the country. College Ambassador Program In the Gotta Have Sole Ambassador Program, college students work with local shelters to bring programming focused on additional social and development skills for homeless youth. Scholarships The Gotta Have Sole® Scholarship Program provides extraordinary teens and young adults in need with the funds to take a step forward. We’re awarding up to five $1,000 scholarships* to incoming first year students, so they can pursue higher education. Tennis Tournament Our annual tennis tournament raises funds for new shoes for homeless youth. Young tennis players from all over come to have fun, compete, and change lives. SOLEdiers® Veterans Program SOLEdiers® provides new shoes to veterans and their children living on or below the poverty line. We've partnered with VA Hospitals to help veteran families in need all across the country.